Raised in the MacArthur Lock, Oct. 28, 2006. Originally built as a deep sea tanker; the new ship's keel was laid at the Sun Shipbuilding and Dry Dock Co., Chester, Pa yard on April 2, 1936 as their hull # 155. The tanker was launched on September 23, 1936 as the 15,515 ton (15,764 mt) capacity Pan-Amoco for the Pan-American Petroleum and Transportation Co. of New York, NY and was delivered to them on October 14, 1936. The tanker remained commercially operated and managed during World War II. Ownership of the vessel was transferred to the American Oil Co. of Baltimore, MD in 1943. On March 23 of that year, the Pan-Amoco escaped a U-boat attack off the east coast undamaged. In 1955, the tanker's name was shortened to Amoco and between late 1959 and early 1960, the vessel was sold for scrap to Boston Metals Co., Baltimore, MD. 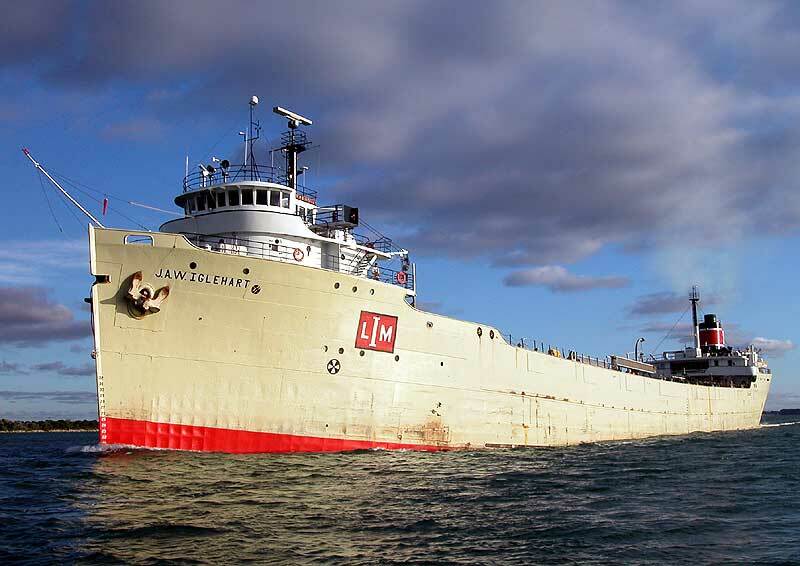 The vessel was saved from scrapping when she was purchased in June of 1960 by the Huron Cement Division, National Gypsum Co., Alpena, MI for conversion to a cement carrier. The new owners took possession of the tanker at Montreal, QC and sailed her to Sturgeon Bay, WI for the conversion work renaming her H.R. Schemm. 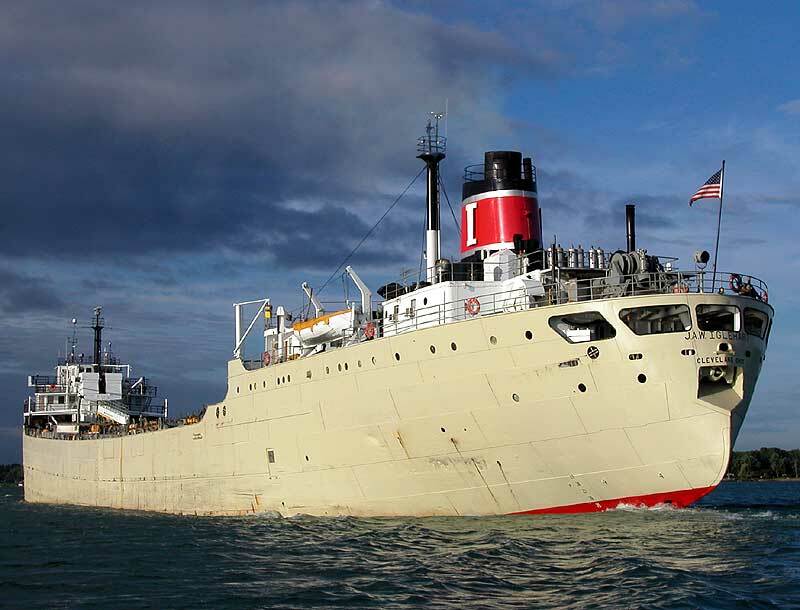 The conversion work was delayed and the vessel remained idle at Sturgeon Bay until being towed to Chicago, IL in 1964. The ship never did sail under the H.R. Schemm name. 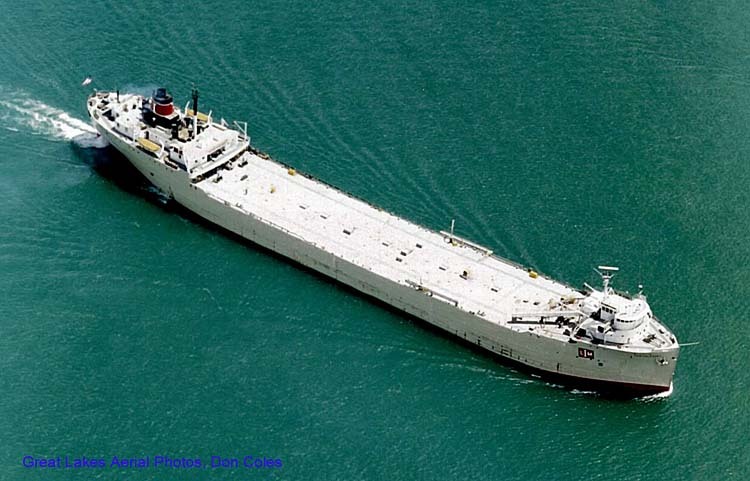 Between 1964 and 1965, the tanker was converted to a self-unloading cement carrier by the American Ship Building Co., S. Chicago, IL. The vessel retained her original hull including her flared bow and deep sheer line. Her holds, however, were re-configured for hauling cement and the midship pilothouse was replaced by a new, modern bow wheelhouse and accommodations with her aft accommodations and stack being modernized. The installed self-unloading equipment consists of a belt conveyor unloading system with an airslide boom and elevators. The cement carrier retained her original power plant consisting of a De Laval cross-compound 4,400 s.h.p. (3,236 kW)steam turbine engine built by Transamerica De Laval Inc. (Turbine & Compressor Division), Trenton, NJ with 2 heavy fuel-oil fired Foster-Wheeler water tube boilers; the power being fed to a single fixed-pitch propeller giving the vessel a rated service speed of 15 m.p.h. She is equipped with a bow thruster. Under her new configuration, the laker can carry 12,500 tons (12,700 mt) in 18 compartments at a mid-summer draft of 27 '04" (8.33m) and approximately 12,120 tons (12,315 mt) at the new Seaway draft of 26' 06" (8.08m). She displaces 6,164 tons (6,263 mt) lightweight. On May 26, 1965; the new laker was christened J.A.W. 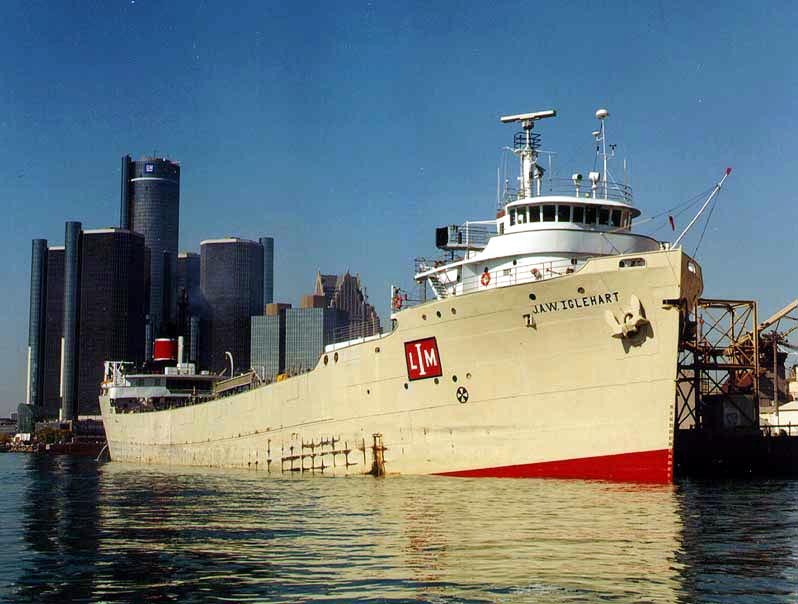 Iglehart instantly becoming the world's largest self-unloading cement carrier (65,000 barrel capacity), the last saltie/laker conversion and the last steam-powered laker to join the U.S. fleet on the Great Lakes, and the flagship of the Huron Cement fleet. The new cement carrier was named in honor of Mr. Joseph Alexander Wilson Iglehart who was a member of the National Gypsum Co. board of directors. Mr. Iglehart was born in Baltimore, MD on November 15, 1891 and died in Lutherville, MD on November 16, 1979. On June 19, 1965, the J.A.W. Iglehart loaded her first cargo; destination Toledo, OH. As with the majority of vessels sailing the Great Lakes, the Iglehart has been the victim of a number of incidents. Some of these occurrences are noted here. On April 4, 1968, the J.A.W. Iglehart grounded at Alpena, MI and was released a couple of days later with the assistance of the tug Amherstburg. 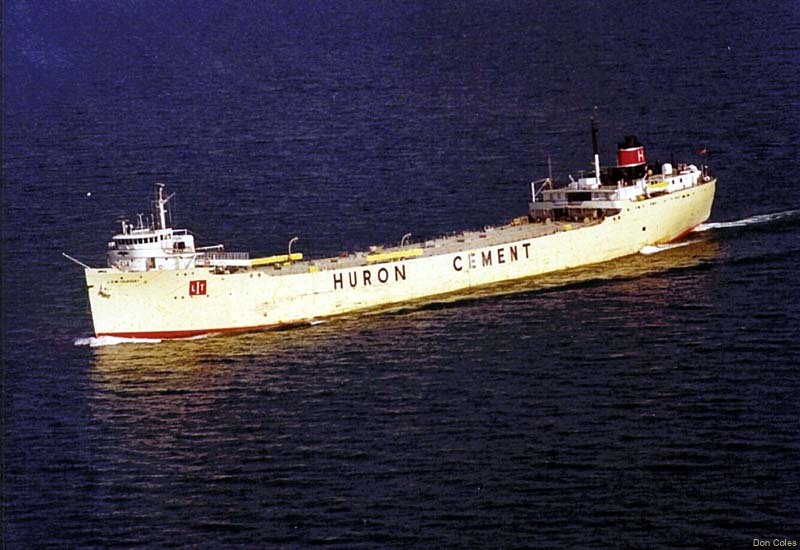 On April 12, 1972, the cement carrier suffered ice damage on Lake Huron to the extent of $450,000 (US). The Iglehart ran aground in the Saginaw River on December 26, 1996 and was refloated on December 30 after lightering 2,000 tons (2,032 mt) of her cargo to the Alpena. 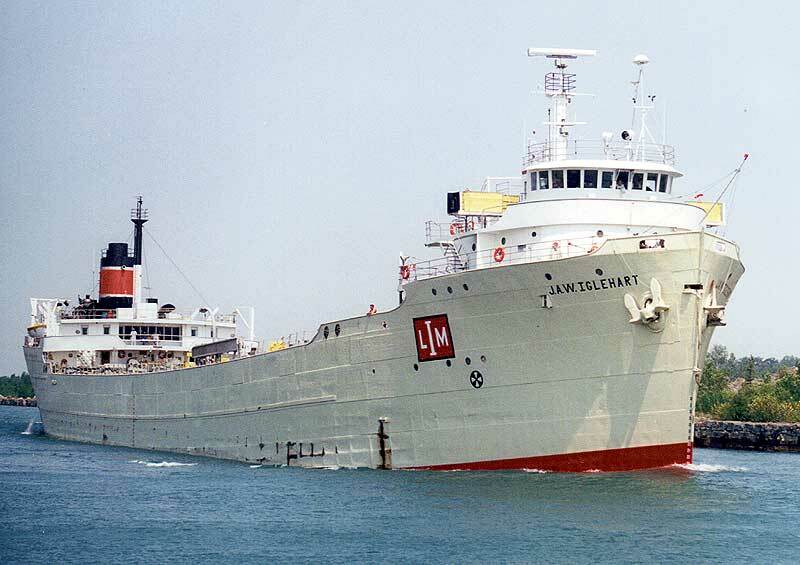 January 14, 1998 found the vessel aground 1.3 miles (2.1k) from the Lafarge dock at Alpena, MI. Again, after being lightered by her fleetmate Alpena, the Iglehart was freed from her strand with the assistance of the Ryba Marine tug Kathy Lynn. 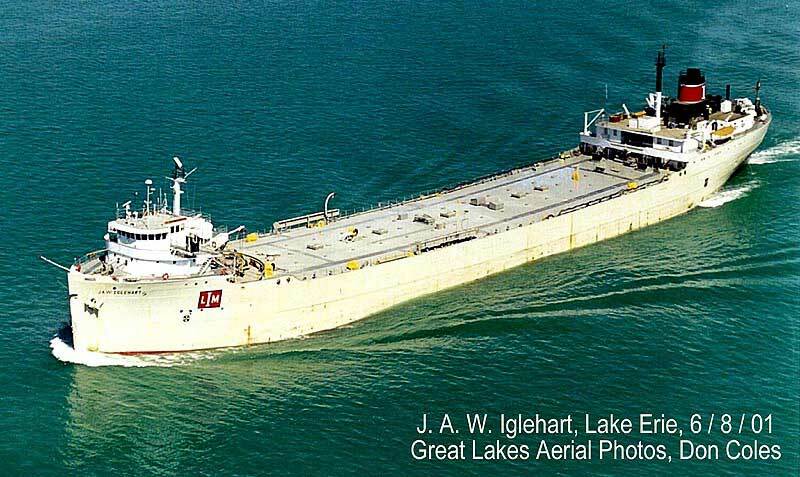 Later that same year, on June 2, 1998, the Iglehart allided with a popular outdoor bar in the Cleveland Flats area of the Cuyahoga River while backing with the assistance of a G-tug to the Huron Cement dock with a load from Bath, ON. There was only cosmetic damage to the vessel; the probable cause being attributed to high winds. Of more recent note, on April 19, 2000, the J.A.W. Iglehart grounded just off her dock in Detroit while loaded to the 26' (7.92m) mark with 12,396 tons (12,595 mt) of cement. After being refloated, the vessel moved to the Belle Isle anchorage on the Detroit River only to ground again on April 20 while approaching the Southdown Cement dock in Detroit. She was freed on April 21 with the assistance of the Gaelic tug Roger Stahl. After lightering her cargo to the English River, the Iglehart proceeded to Toledo for repairs to a damaged forepeak. Low water levels were the probable cause of the groundings. On March 22, 2004, the Iglehart suffered ice damage while transiting the Straits of Mackinac and had to return to Alpena, MI for repairs. With the E.M. Ford and S.T. Crapo having being removed from service (1996), the J.A.W. Iglehart was the oldest steam-powered laker in active service with her original engine. 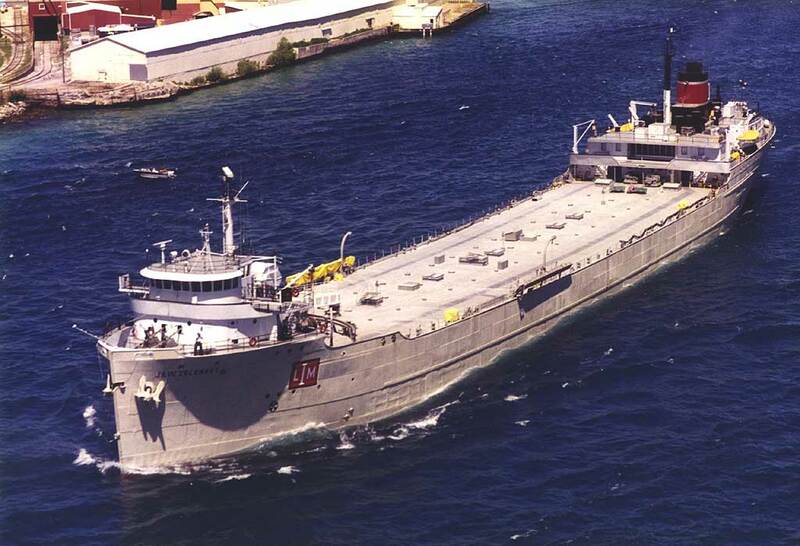 She remains operated and managed by Inland Lakes Management of Alpena, MI under a contract with Lafarge Corp. With Lafarge having purchased National Gypsum in early 1987, the J.A.W. Iglehart continued to carry cement products for the same company and its subsequent owners since entering service as a cement carrier in 1965. After over 41 years of service, on October 31, 2006, the J.A.W. Iglehart docked at the old Superior Municipal Terminal in Superior, WI ending her career as an active carrier on the Great Lakes; her cargoes now being carried by the new articulated tug/barge unit Samuel de Champlain/Innovation. On November 5, 2006, she was moved to the Lafarge dock replacing the venerable J.B. Ford which, in turn, was moved to the old Superior Municipal Terminal dock. The J.A.W. Iglehart may be starting a new phase of her career on the Great Lakes, that of a stationery cement storage barge. Unloading at Lafarge in Buffalo, NY, 1993. From the Bluewater Bridge in 1995. Copyright � By Boatnerd.com. All Rights Reserved.